_Interim Writers is a new collective dedicated to the fostering and development of Boston Playwrights. We will be holding monthly readings in which we invite not only playwrights but writers of all genres to present whatever they are working on in any stage of development in order to obtain feedback and simply to hear their ideas out loud. Check out the Interim Writers Website! 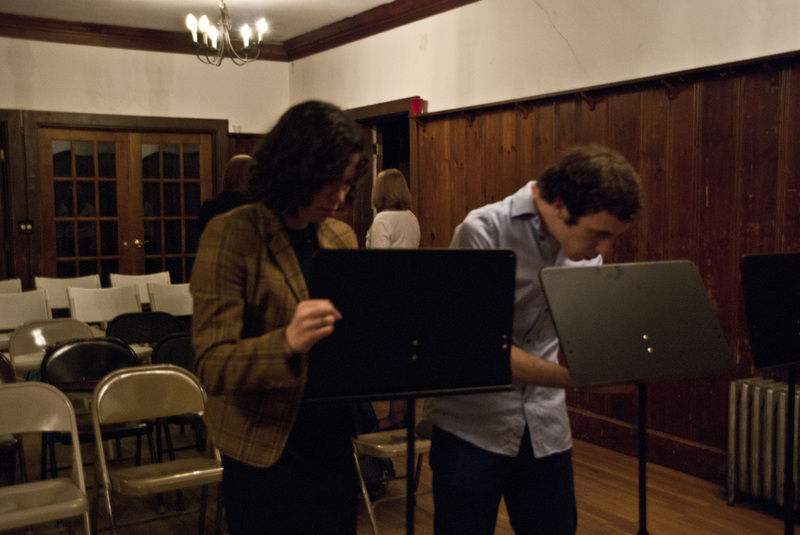 Max Mondi and I, Interim Writers Co-Founders, set up our very own music stands at our first reading at The Democracy Center. We love our music stands, and also everyone involved in IW.